Those who fill out and submit a Panther Expedited Services application, are looking to join a company that offers their employees a challenging environment and provides their customers with outstanding service. Links to apply for jobs at Panther Expedited Services are at the bottom of the page. Panther Expedited Services was founded in April of 1992 with a five truck fleet. In 2002, after their company had grown more, the company launched their Elite Services division and began offering shipping into Mexico. With the arrival of 2005, the company began to revamp their image, turning away from ground shipping to focusing on shipping logistics. After 2006, Panther Expedited Services began acquiring more and more of their competition, starting with Con-way Expedite and Brokerage. It was then followed closely by Integres Global Logistics and Elite Transportation Services. In 2012, Panther Expedited Services was purchased by the ArcBest Corporation, formerly Arkansas Best Corporation, who now runs Panther Expedited Services as a subsidiary. 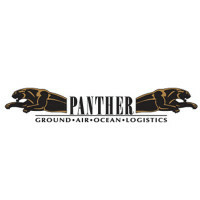 This company is known by a number of names besides Panther Expedited Services, including Panther Premium Logistics and Panther Premium. Although there are several names for the company, every branch works closely with their customers in order to make sure that they get the best service possible. There are several corporate Panther Expedited Services jobs available in their Medina, Ohio office. A majority of the positions are geared towards working with customers across the world, and making sure that their products are being shipped on time while receiving outstanding service. Because this company is worldwide, there are a number of local offices that offer people Panther Expedited Services careers. A majority of these jobs are driving positions, but the company does have a number of local offices scattered around the country so that there are local people that customers can talk to. How old do you have to be to work at Panther Expedited Services? Age requirements vary by position. As you browse Panther Expedited Services jobs online, make sure to read all the position needs carefully as a number of jobs will require various degrees, experiences, or certifications. Panther Expedited Services offers a number of benefits. Some of these benefits include health insurance, vision insurance, dental insurance, life insurance, a 401K, a profit sharing plan, paid time off, an employee wellness program, and tuition reimbursement, among others. Territory Manager – You’ll work in a set territory to build and enhance the presence of this company. Besides looking for new customers, you will work to find and offer existing customers new services that they may be able to use. Compensation is around $60,000 a year. Global Forwarding Agent – As customers call, you will be the one to answer the phone and answer any questions that they may have about the company or their order that’s being shipped. As needed, you’ll interact with team members to create a cooperative environment. Compensation is around $40,000 a year. Corporate Analyst – As needed, you’ll provide support to the Operations department by identifying opportunities for them to take. Other duties will include calculating commissions and payment. Compensation is around $65,000 a year. Dispatcher – You will work with new and old clients to provide customer service, answering any questions that they may have and providing quotes for anything that they may want to ship. As needed, you’ll update customers on their shipments and how close they are to arriving at their destination. Compensation is around $30,000 a year. Why do you want to work for Panther Expedited Services? This is an extremely common interview question, so you should be prepared for it. Talk about what drew you to the company, whether it was the culture or benefits and why it’s your first choice in places to work. What experience do you have? Highlight all of your relevant experience. If you don’t have any, talk about what you can bring to the position and offer the company. Use plenty of examples to back up and support any claims that you might make. This company relies heavily on customers for their business, so you may be asked this question in the form of a hypothetical situation: How would you take care of an upset customer? Walk your interviewer through the steps you would take to turn the customer’s experience around, making sure to be practical and realistic. Some positions require you to drive to meet customers, so you may be asked: Do you have a valid driver’s license and a good driving record? If you have anything on your record, talk about it and explain what happened, especially if you were in an accident. How to apply for Panther Expedited Services online: search for the position that you’re interested in applying for in the location that you want. Once you’ve found it, read through the position needs and requirements before filling out and submitting your Panther Expedited Services application. There is no printable application for Panther Expedited Services available on their website. Before attending your interview, do research on Panther Expedited Services and the industry in order to come up with a list of questions that you can ask. This may seem excessive for an entry level position, but it will place you above the other candidates as it shows that you think ahead and are prepared. Your interview will probably take place in a semi-formal setting, so you should dress in business casual, at the very least. If you’ve applied for a managerial or supervisory position, a suit would appropriate. Have a positive and friendly demeanor as it will give a good impression and show that you’re ready to work with the existing team. Show gratitude at the opportunity to interview with this company. After your interview, inquire about the best way to check on your hiring status. Very few candidates will learn if they got the job during their interview because Panther Expedited Services will want to screen all applicants before making a final decision on who is hired. Alabama Power: Use the Alabama Power job application to apply here. Randstad: Checkout the application page for work at Randstad. Holland Board Of Public Works: See our resource page for more information on Holland Board Of Public Works careers. Bright House Networks: Visit the Bright House Networks application. Adecco Staffing: For employment at Adecco Staffing visit the application page.